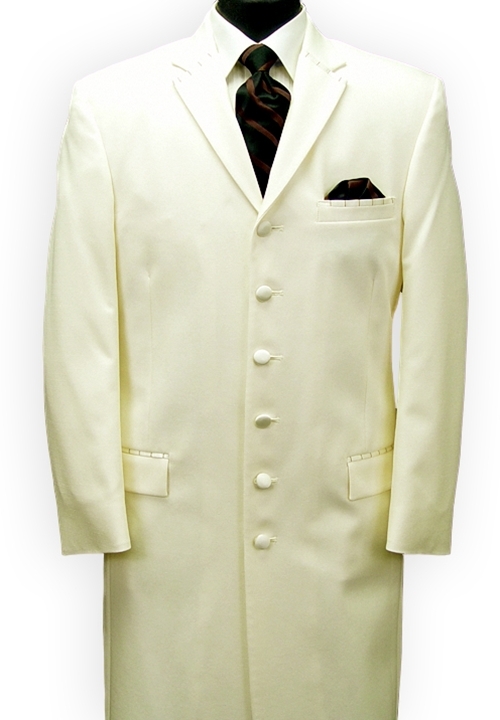 The Ivory Ecko 'Extreme' tuxedo coat sets itself apart from the rest with its long length. At 45", it is one of the longest formal coats available. It features a self notch lapel with satin accents, and a 6 button front. Great for Parties, Proms, and Performances. The Ecko 'Extreme' tuxedo coat will set you apart from the crowd. With the matching trouser, P869, you are sure to get noticed.